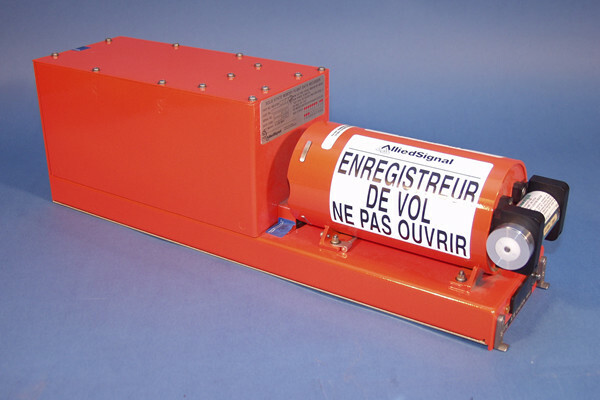 How do aeroplane black boxes work? Part of the show How do black boxes work? I keep hearing on the news about the search for the lost Malaysian aeroplane and the fact that its "black box" will soon run out of battery power so that it won't be able to send out any more "beeps" that are needed to locate the plane's wreckage. So how do black boxes work and how will this obstacle be overcome in the future? Black boxes are about the size of two shoe boxes and actually painted bright orange. They're usually two types on-board an aircraft. The first is cockpit voice recorder or CVR which records the conversations between pilots, communications between the pilots and air traffic controller, and ambient noises on the flight deck such as engine sounds and warning alarms. The second is flight data recorder or FDR. FDR records information about what the aeroplane is doing. Things like speed, altitude, whether auto pilots on, whether seatbelt sign is on, and hundreds of other parameters. The boxes themselves aren't actually very clever. In fact, your smartphone will have a much higher memory capacity than a black box. However, would you expect to be able to read your emails on your phone if you just hold it at a wall at 400 miles an hour, crushed it under 2,000 kilograms, fried it under 1100 degrees centigrade for an hour and then baked it in your oven for 10 hours, and then for a good measure, dropped it in the sea? To withstand this punishment, the memory and the recorder is surrounded by one inch thick layer of dry silicon material to protect from high temperatures which is then encased in a quarter inch thick stainless steel or titanium housing. Why can't the entire plane be made of this indestructible duo? The trouble is, that all these protection weighs quite a bit. Black boxes weigh around 7 kilos, so pretty dense for the size. If the whole aeroplane is made out of those materials, it will never get off the ground. In the future, it’s likely that data will be streamed in real-time back to airline operators via satellites. But there'll still be a need for black box recorders on-board to ensure investigators have uninterrupted and complete data in case any data gets lost during transmission back to base. Previous How do people shower in the space station? Next How are computerised voices generated? How Much do Space Missions Cost? Citizen Science: Science Needs YOU! Can a road be good for the environment?